So I have been meaning to publish this entry. Like I mentioned in my Berdori post, I going to share my mini shopping haul after. I know some of you are waiting for it. To be honest, I didn't really buy a lot of items, I only spent a few thousand pesos, but to give you an idea on how much would it cost for a strand of quality freshwater pearls or a pair of south sea earrings from a legitimate pearl store in Greenhills, here we go. I got this pair of 11mm champagne south sea pearls set in silver for only P6,000. Pearls, being my birthstone, is my favorite go-to earrings at the moment. I can dress up and dress down with it. One more thing that I really love about south sea pearls is that I can wear them practically almost everywhere even on jeepney a commute. Deadma sa pitas hikaw gang ang pearls. Now here is a pair of earrings, a choker and a bracelet in freshwater pearls of high quality. I got this set for P4,000 only. These are the ones I bought to be gifted to my husband's friend. They look very nice in person. Only my photo doesn't give enough justice to it. 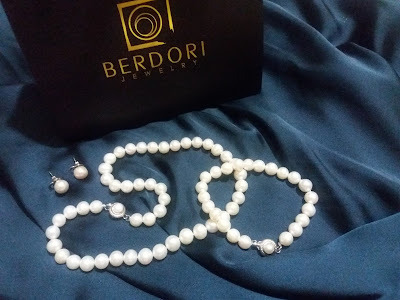 I went back to Berdori the next day and bought another set of quality freshwater pearls at the same price range for another friend in Istanbul. 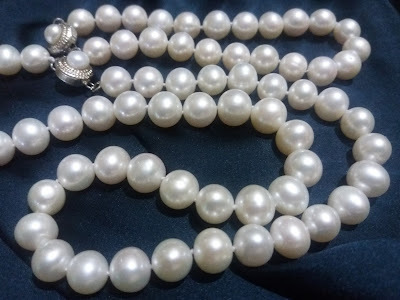 In total, I bought a pair of south sea pearls for me and then 2 pairs of freshwater pearls earrings, 2 freshwater pearl necklaces and 2 freshwater pearl bracelets to be given as gifts. 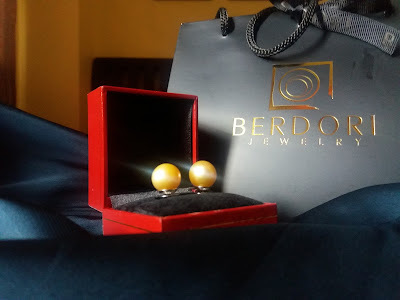 You know, I previously heard about Berdori in an online thread before and read a few blogs about their store, so I was kind of interested to see them and their collection of south sea pearls and other jewelry. Their price range isn't really that high compared with other stores in Greenhills. I did a few rounds before going straight to their store and found that out for myself. Do you like pearls? What is your birthstone? Just posted a photo of this dish in IG and Facebook. One of my friends asked for the recipe, then I thought why not blog about it and send her the link? So okay, writing down the recipe now and sharing it to her in a bit. Here we go. Dyaraaan.. my most requested Turkish-style baked meatballs. Best eaten with rice and plain yogurt on the side. In a bowl, put all the ingredients for the meatballs and mix very well. Get a small portion and form into an elongated ball which is about 2 inches long and 1 inch thick. 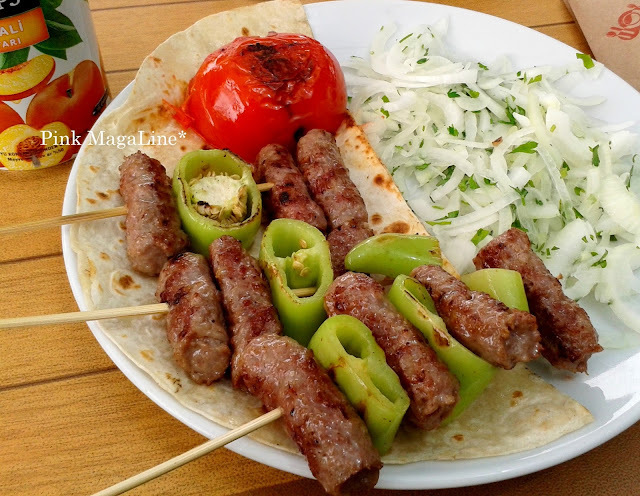 Don't panic, I know I said meatballs but dear, Turkish meatballs are like this, really. They are either flat like burger patties or elongated like tiny kebabs. Repeat the process until the meat mixture is done. 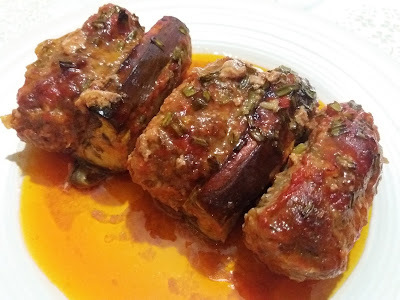 Divide the eggplants into three and then cut them the same length with the meatballs. 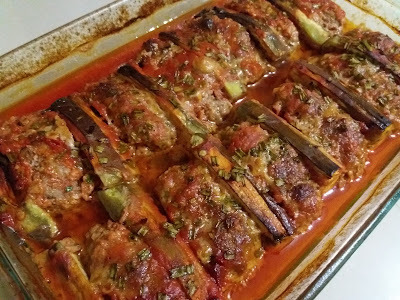 Arrange meatballs and eggplant slices in a rectangular baking dish, putting them side by side, one after the other. Finally, pour over the sauce on the meatballs then bake for 25 minutes or until the top is brown and the sauce is reduced. Enjoy! NOTE: I forgot to mention that I sprinkled some spring onions and cracked pepper before baking. This is very much optional. Also, instead of the two you can use chopped parsley and black pepper or other spice and herb combination that you like.